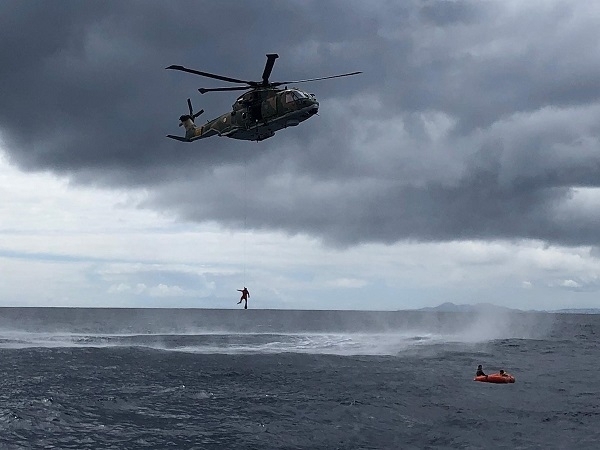 The Spanish and Portuguese air forces carried out a joint pilot rescue manoeuvre off the north coast of Gran Canaria on Monday. The collision of two fighter jets, whose pilots were able to escape by using their ejection seats, was simulated. The task was to locate and rescue them. Delegations from Portugal, Morocco, Mauritania, Senegal and Cape Verde were invited as observers. The participation of the reconnaissance aircraft Ala 46 of 802 Squadron based in Gran Canaria and a helicopter Super Puma had to be renounced, since both were involved in real rescue operations. A joint manoeuvre on land was carried out yesterday. Produced with news.CMS in 0,0673 seconds.